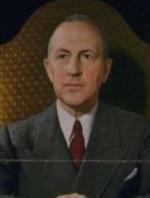 Info Lloyd Crow Stark (November 23, 1886 – September 17, 1972) was a Governor of the U.S. state of Missouri. He was a Democrat. Stark was born near Louisiana, Missouri. He was a major in the U.S. Army during World War I. He served as the Governor of Missouri from 1937 to 1941 and was a delegate to Democratic National Convention from Missouri in 1940. Lloyd Stark had a fierce political rivalry with Harry S. Truman, who he ran against for the Senate in 1940—and lost when he and the prosecutor (Maurice M. Milligan) who toppled the Kansas City political machine split the anti-Truman vote in the Democratic primary. He died in Clayton, Missouri in 1972. The falling out between Stark and Kansas City Boss Tom Pendergast following the 1936 election is widely believed to have been the turning point in Boss Tom's fall from power. Pendergast held so much sway in Missouri in the 1930s that the governor's mansion had been dubbed "Uncle Tom's Cabin." Stark sought and received Pendergast's support. Pendergast's minions were more corrupt and obvious than usual in the 1936 election. This prompted numerous investigations and Stark turned overtly against Pendergast who was eventually convicted of income tax evasion. Lloyd Stark was part of a family rather prominent in Missouri and was active with his brother Paul Stark in the then family-owned business Stark Brothers' Nursery (the oldest Nursery in America and at one time the largest in the world). The nursery claims to have popularized the Golden Delicious apple. Stark's cousin, Charles Stark Draper, was a prominent inventor.